Spring is here, and it’s time to break out your family’s hiking boots. 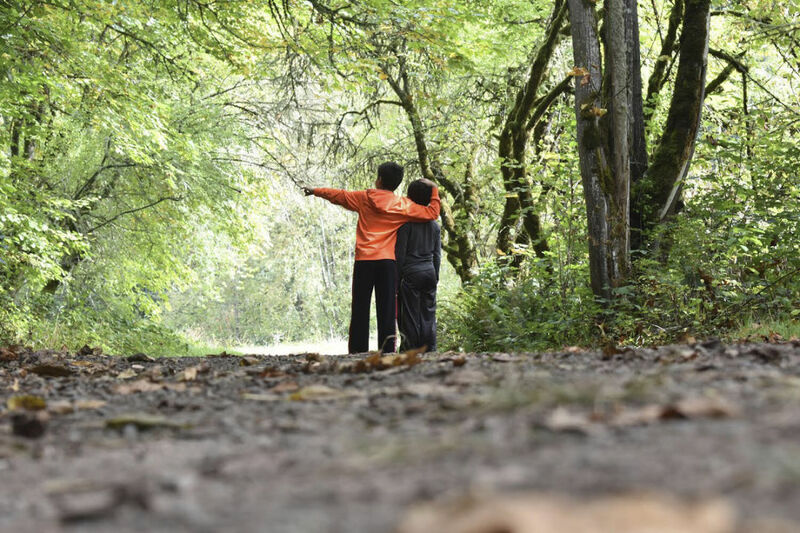 Wendy Gorton, author of the new book 50 Hikes with Kids: Oregon and Washington, shares ten simple and fun ways to keep kids engaged every step of the way. 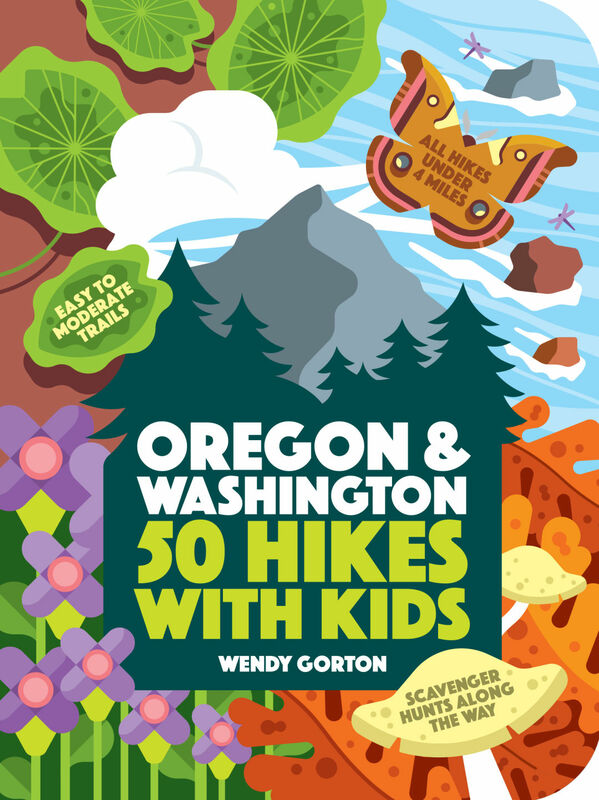 50 Hikes with Kids: Oregon and Washington is available at Powell’s Books and everywhere books are sold. 1. Ownership: Nothing feels better than accomplishing something you helped plan, so empower your kids by letting them help choose the adventure. It could be the trailhead, the day you go, the route you take, or even the treat you have after the hike. 2. Power-Ups: If your little ones are hungry, it doesn’t matter if you are about to see a cool stump or walk near a magical waterfall. Check out the map before going and plot places to snack and hydrate. 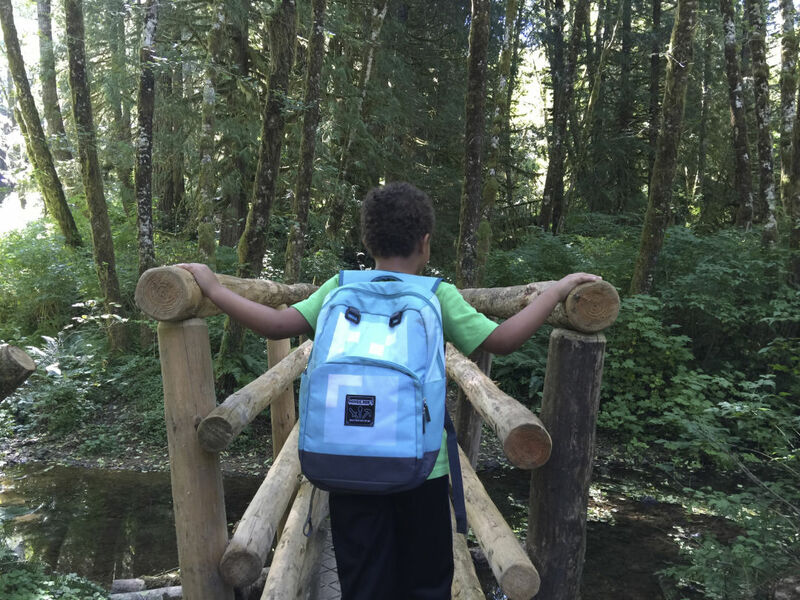 Hiking with kids can help them foster curiosity and a love of nature. 3. Make It Interactive: Trails are nature’s toy store—every pinecone, needle, rock, and lichen scrap on the ground is begging to be stacked and counted and left for the next kid on the trail to discover. 4. #TrailGoals: The trail is a natural life coach. Lots of stairs ahead? Celebrate at the top. See a bridge on the map? Give them a high-five once you get there. You can even plan a picnic for when you hit the main attraction. Bring a nature journal and let your kids sketch what they see along the way. 5. Trail Selfies: Let your budding photographer take a picture with the most interesting feature they find. Share it with friends and family when you are home. 6. 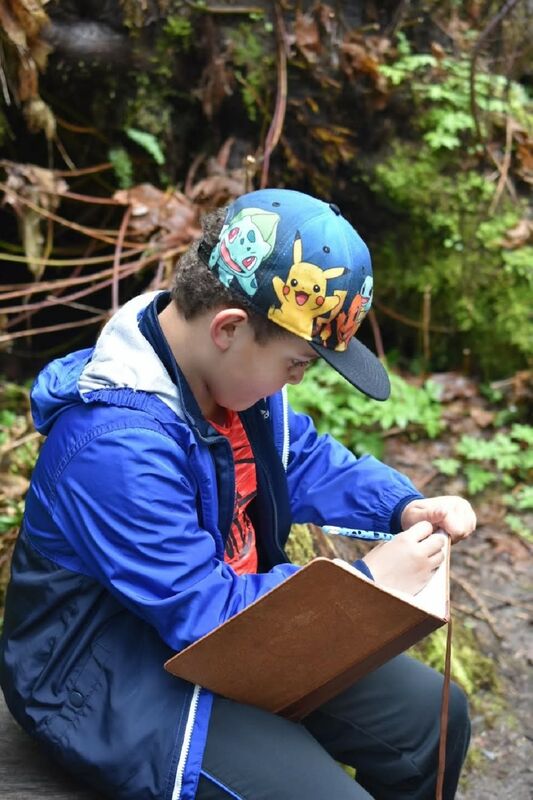 Nature Journaling: Bring a small notebook and allow kids time to sketch something that inspires them. Consider making your own scavenger hunt beforehand and checking things off as you go. Turn your hike into an interactive game with a round of I Spy. 7. I Spy: Play a game to help your kids notice nature around them. Spot and describe fun objects like pinecones or odd-shaped leaves along the trail and give your kids clues so they can guess what the objects are. 8. Tree Yoga: Find a cool tree and challenge your kids to match it with their own tree pose. 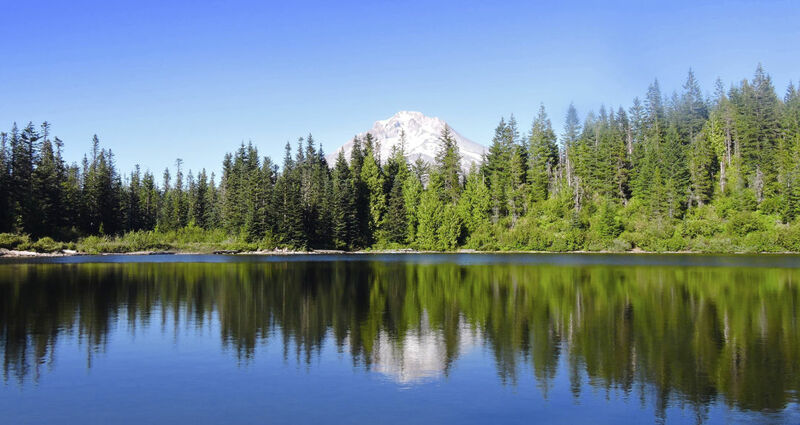 A Fun, kid-friendly adventure awaits at Mirror Lake. 9. Listen Closely: When you reach a viewpoint or summit, take a break and have a listen challenge. Wildlife presents itself to those who wait, so encourage two minutes of silence and see what you hear.